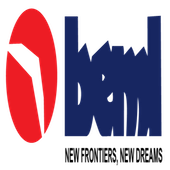 Online Application Details for Bharat Earth Movers Limited BEML Recruitment of 3 Office Assistant Trainee is given below. Application form and duly attested documents are to be sent to Assistant General Manager (HR), Recruitment Cell, BEML Soudha, No.23/1, 4th Main Road, S.R Nagar, Bangalore -560027. In envelope super scribed with 'Application for the Post of Post Name'.